Michifumi Isoda introduces a facet of the Japanese spirit not frequently highlighted, yet one that is acutely appropriate in today’s world: selflessness. The author describes his goal for this new publication, writing: “I have waited eagerly for the day when Unsung Heroes of Old Japan would be translated into English and made available to people around the world. I wrote the book with the faint hope that people might one day become more like the men and women portrayed here. Whether humanity has any universal values, I can’t say. 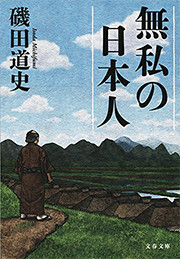 But looking back over the sweep of human history, I am convinced that values like those shown here result in happiness for the individual and society.” Following publication, the story of Kokudaya Jūzaburō, one of the unsung heroes portrayed, was also made into a movie entitled Tono, risoku de gozaru (The Magnificent Nine). 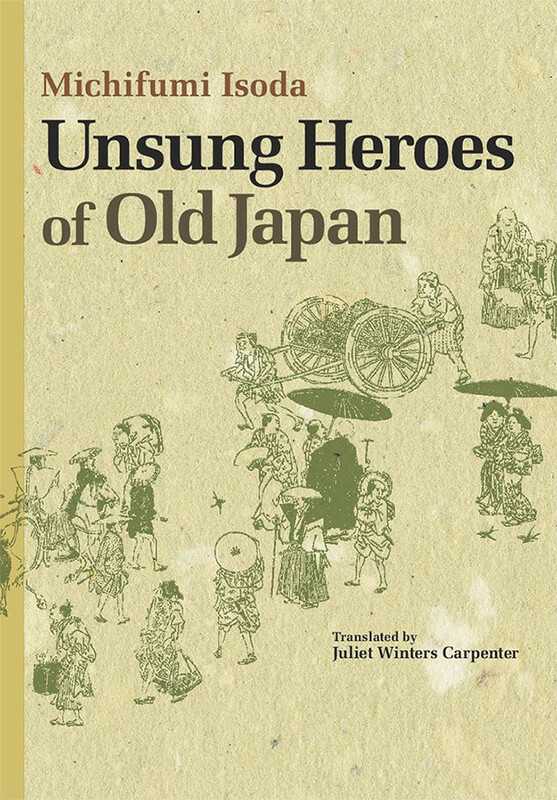 Unsung Heroes of Old Japan brings to life three selfless individuals from the Edo period that were, however unintentionally, influential in establishing welfare and social values in Japan at a time when the lower classes were suppressed by a bureaucracy of former samurai. We first meet Kokudaya Jūzaburō, a sake distiller determined to save his impoverished town from extinction. He collaborated with a like-minded tea merchant to implement an intricate financial strategy, both risking personal bankruptcy and the separation of their own families to achieve perpetual financial security for the greater good. What the entire town accomplished through mutual self-sacrifice and determination was miraculous. We then meet Isoda’s second unsung hero, the Confucian Nakane Tōri, who eluded the limelight for centuries, leaving but a faint trail for modern historians to follow. His poetic genius was fueled by Zen training and a voracious study of Chinese and philosophy, yet it was his rejection of acclaim or compensation that produced the lesson from which we can all learn. Finally, we encounter the third character, a heroine this time—beautiful Ōtagaki Rengetsu, Buddhist nun, waka poet and potter. Unwaveringly rejecting vanity and comfort, she shared all but a morsel of her hard-earned income with those in need. Her compassion for others leaves one speechless. These three figures represent lives based on humility and kindness, creating a legacy for all members of today’s global society. Michifumi Isoda received a Ph.D. in history from Keio University, and is currently an associate professor at the International Research Center for Japanese Studies in Kyoto. He re-creates the spirits and minds of significant figures from Japan’s past through his unceasing appraisal of historical materials and extensive knowledge of socioeconomic history. His bestselling novel Bushi no kakeibo: Kaga-han gosanyōmono no bakumatsu ishin (A samurai’s account book: The accounting officer of the Kaga Domain on the eve of the Meiji Restoration) won the 2003 Shinchō Document Prize, and was subsequently turned into a movie. He has written numerous other works, many of which have received literary awards.